I might be completely off but don’t you mount the ring swivel on a “d” loop? Do you want to achiece the above ??? Your not trying to pass it over the eye of the hook are you ? 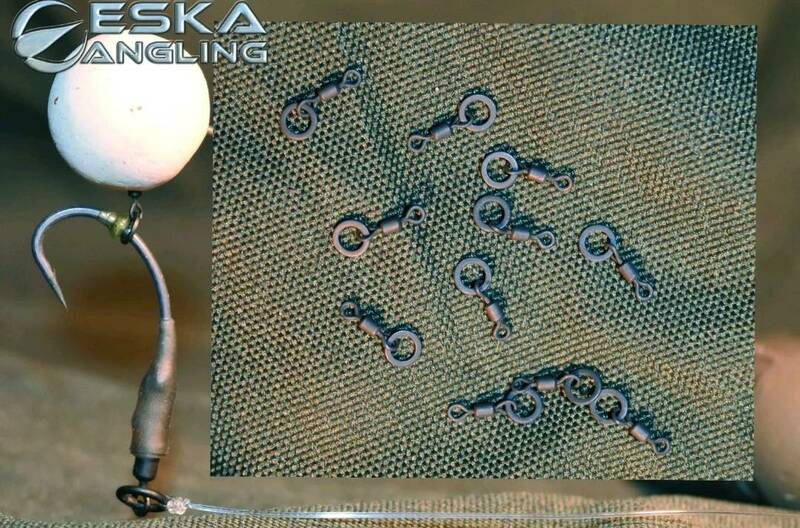 Most micro ring swivels will pass over a micro barb . You're sure you're not using micro swivels? I've never seen a hook ring swivel that won't fit a size 2, let alone an 8. If your trying to achieve a ronnie look...just buy the Gardner Ronnie pre made with micro swivel attached...3 for £5..
Or the ESP pre mades , depending on what hooks you prefer to use . By the time you've bought all the swivels and stops it works out cheaper to buy the pre mades , then just add the hook length of your choice . 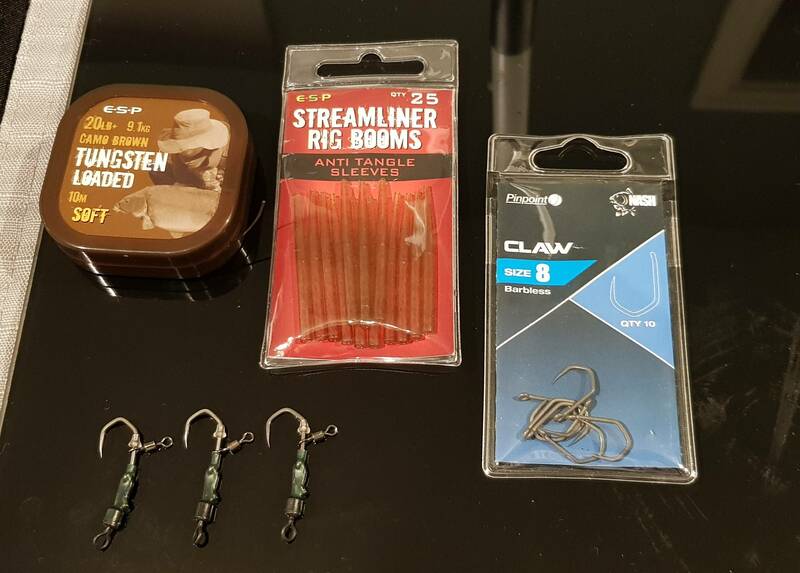 So had a go myself but with the Nash Claw (love these hooks)..only thing is nowere had any uni swivels so used quick link swivels...still not too bad.